Most of us would desire to wear that pair of Louboutin’s or to own a pair from Lady Gaga’s shoe stash. Whether you want to steal a celebrity style secret or wear a pair to match your outfit, there’s no denying that women of all ages love them. They change your posture so that your lower back is arched, your pelvis and chest is thrust forward, the buttocks are tightened and the calf muscles firm. This makes you taller, feel slimmer and overall changing your silhouette. With the right pair, it also enhances your authority and presence. As amazing as it sounds, wearing high heels can be a daily struggle for many women. Wearing the wrong size, shape and fit causes undue stress and pain in your calves, knees and back. 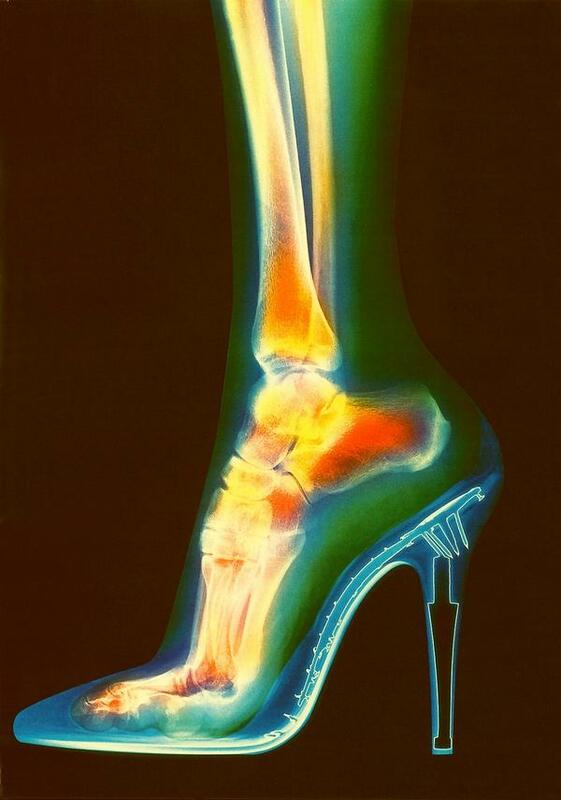 Most women are unaware of the amount of stress high heels can place on their body. Back pain, hip pain, knee pain, ankle pain and/or foot pain can all stem from incorrect shoes. The pattern of how our body parts move while we walk is called the gait. From the time your heel strikes to the next time the same heel strikes again, there are a series of movements occurring at your hips, knees and feet. Correct posture improves muscular function and brings stability to your moving body. Your stability is also determined by a mid-point in your body that has the most gravitational pull, this shifts according to body movements. Think of a car as the moving body and the gravitational force acting at its centre. If this car had to tilt sideways, the centre of mass and line of gravity would be shifted to the heavier side, causing an imbalance in forces. Your ankle is forced into an unnatural downward position and the body adapts itself to maximise limb stability. Putting you in a highly unstable and vulnerable position to sustain an injury during movements. When standing straight up without heels, your body creates a 90-degree angle on the floor, which is normal stance. Think of your body being a rigid column, putting on a pair of heels would force your body to tilt forward. The angle between the floor and heel would decrease from 90 degrees to 70 degrees. However, the body is NOT a rigid column. Our posture adjusts to maintain stability and these adjustments pose greater stress on our back, knee, ankle and foot. High heels change the alignment of your spine, hips, knees and ankles pushing your centre of gravity forwards. This causes excessive pressure on the front of your knees. 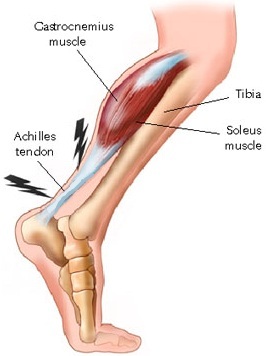 Prolong use of high heels can cause excessive shortening of calf muscles resulting in the thickening of the Achilles tendon. Walking around barefoot or in flat shoes may cause pain and discomfort. If you are experiencing this, it may be time to seek treatment before it is too late. 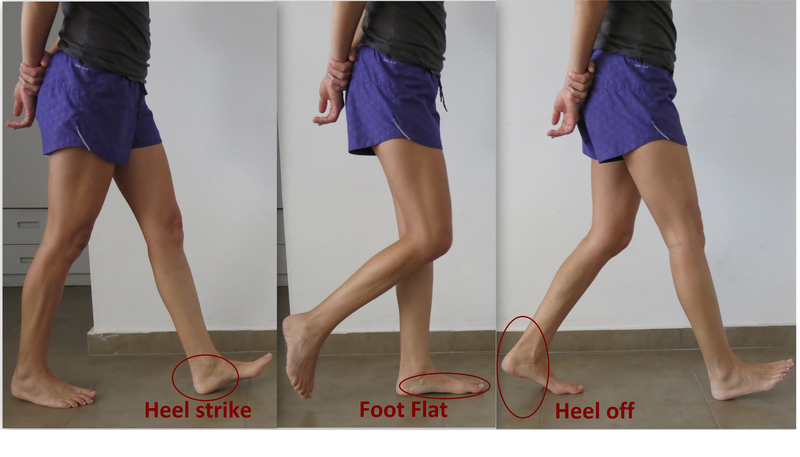 During normal stance, body weight is spread evenly from the heel and ball of the foot. 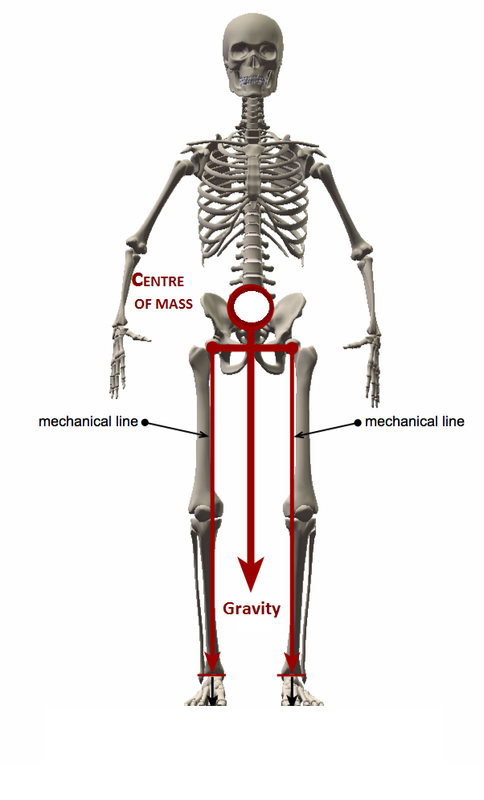 So, the center-of-pressure (COP), where the most weight is distributed, is located in the middle of the foot. 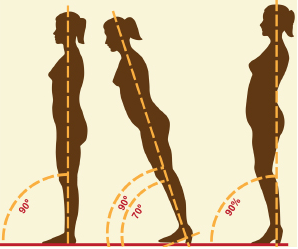 When standing in high heels, the shift in angle causes the body’s weight to tilt forward. The center of pressure is shifted to the ball of the foot. 90% of the body weight is now focused on the ball of the foot. The higher the heel, the greater the stress potentially causing strain, pain and stiffness of the ankle and knee joint structures. It is also been reported that wearing heels more than 3 inches over time puts women more at risk of ankle and knee osteoarthritis. The effect is worsened in overweight cases. Bunion is a condition when your big toe joint begins to lean inwards and becomes enlarged. It is more likely to be triggered by wearing very pointy shoes or shoes that are too tight on your toes. You start with swelling, redness, tenderness and pain at the base of your great toe even when you’re barefoot. Over time, your big toe deforms and pushes inwards towards the other toes. This changes the normal positioning of your toes, spreading pain in the front of your foot and a loss in foot aesthetic will also occur. This is a symptom caused by excessive stress and inflammation on the front of the foot while standing in high heels. It is felt on the metatarsal heads and pain gradually increases over weeks rather than suddenly. The front area of your foot may also feel tender when you press on it. The pain lasts during weight bearing and depends on the extent of stress on your metatarsals. High heels with back straps that are constantly rubbing against the upper part of your heel cause Hagland’s deformity. This will eventually lead to bursitis. A Bursal is a fluid-filled sac that separates tendons from bones. An inflammation of this sac is called bursitis. Bursitis will cause Achilles tendonitis and make the bump even more prominent and painful. 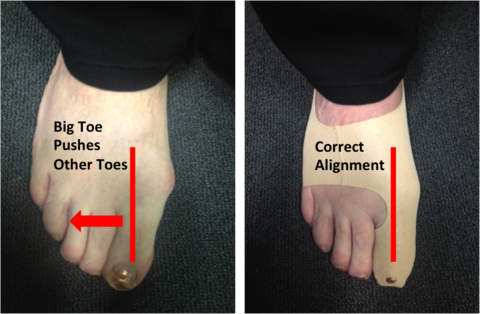 Excessive and prolonged weight and stress deform the toes into a bent position which does not correct even at rest. The muscle and ligament imbalances over the toes cause inflammation and rigidity leading to arthritis. 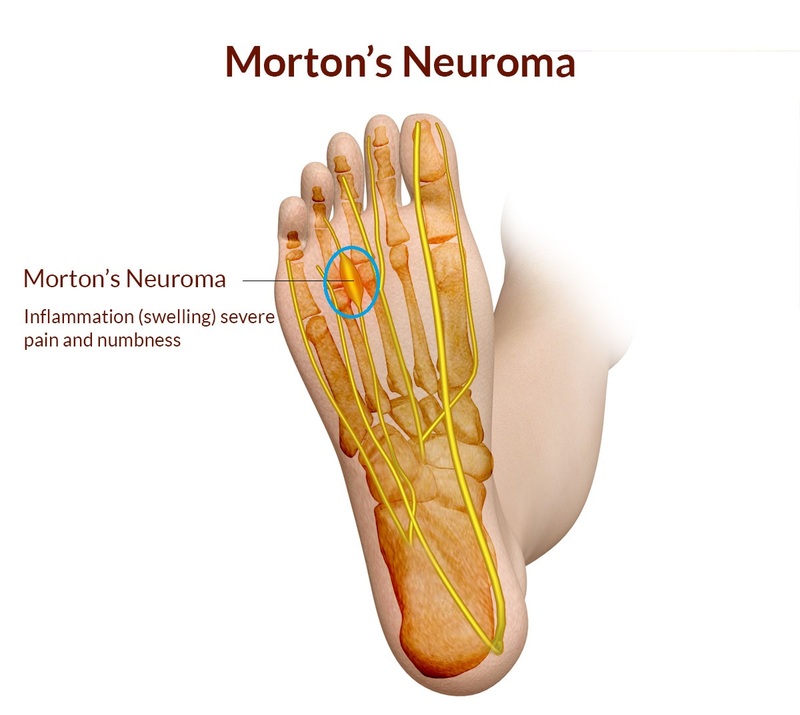 This condition is caused due to excessive thickening of the tissues around the nerves of your toes. The most frequent location is between the 3rd and 4th (3rd web space) and less commonly in 2nd and 3rd metatarsals (2nd webspace) as the foot is narrower between the third and fourth metatarsals. This means that the nerves that run between these metatarsals are more likely to be compressed and irritated. You will feel pain worsen when walking barefoot or if the metatarsal heads get squeezed together in your narrow fitted shoes. Pain comes and goes intermittently. You may experience severe pain attacks from two to several times in a week. Although there are many painful conditions associated with the use of high heels, the demands for it keep increasing because of fashion trends and downright vanity. It would not be wise to sacrifice fashion for health and comfort. But with every problem, there is always a solution. Wearing just the right height of heels will help ensure good foot placement and minimize injury to your body. If you are a fan of high heels, you may want to seek expert opinion on how to maintain foot health or wear insoles to ensure good arch support and equal weight distribution. The solution may not be a perfect one, but we always aim to create a solution nonetheless. It’s easy to say ‘no, stop doing it’ but why people come to us is as we create imperfect solutions in order to let people keep doing what they love.